St. Andrew’s is an active and dynamic parish serving the needs of its members and the surrounding community with love and joy. There are activities for all ages… including Christian education and spiritual formation, Bible study, healing ministry and prayer groups, outreach to soldiers and veterans, after school programs, Messy Church, youth ministry, award winning vocal and handbell choirs for all ages, and much, much more. The ministry team of St. Andrew’s is led by Fr. 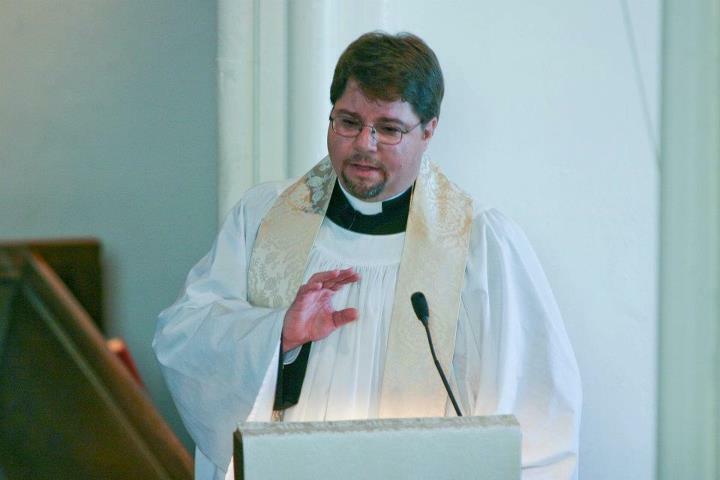 Jeff Queen who began his ministry to the parish in January of 2012. Assisting the Rev’d. Queen in ministering to the pastoral needs of the community is our Priest Associate, Fr. Joe Pennington. The leadership team at St. Andrew’s is comprised of a 12 member board called a “Vestry.” The Vestry and its officers, the Wardens, help give vision to the parish, its mission and ministry. Congregational members are elected to the Vestry each year at the parish Annual Meeting. The pastoral support staff at St. Andrew’s includes parish administrator Robin Miller, director of music ministries Jennifer Jun, organist Yuan Zhuang, Christian formation director Gail Pennington, St. Andrew’s Club director Nina Kearns, director of the Episcopal Youth Community Caroline Stine, rector’s warden Rick Brockmeier and sexton Tim Keeler. The history of St. Andrew’s dates back over a century in the years before 1900, when a group of Episcopalians interested in establishing a church in Ft. Thomas began meeting in a local school. Early services were also held in the Chapel of the Ft. Thomas Army Post. Various clergy including the local Army chaplains and the Rev’d. Robert Nelson, Rector of St. Paul’s in Newport, conducted Sunday services. In time this group of people became known as the Ft. Thomas Episcopal Mission. The first resident clergy for this mission was the Rev’d. Curtis Fletcher, who began his ministry in 1907. It was in November of that year that the Rt. Rev’d. Lewis Burton, Bishop of Lexington, made his first visit to the mission in Ft. Thomas. During his visit, Bishop Lewis offered the sacrament of Confirmation to six persons, and organized the mission into a parish establishing a Vestry and a building committee. Land was purchased in 1908, and the cornerstone of the present building was laid on October 30, 1909. The church building was completed the following year, with its first service held on September 18, 2010, and the sacrament of Baptism administered for the first time in the church the following month on October 16th. As the church grew in numbers of communicants, the Vestry was able to retire the debt on the property and the building allowing it to be consecrated as a Church. Bishop Burton was on hand for this milestone on April 19, 1924. 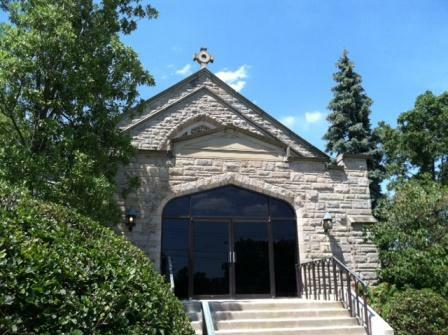 Three years later in the fall of 1927, the parish was incorporated as St. Andrew’s Episcopal Church. Over the years St. Andrew’s has been blessed by an active and devoted group of people who find great joy in serving their church and their community. People who call St. Andrew’s home come from all walks of life and are committed to spiritual growth, mutual care for one another, and service to the poor and needy. St. Andrew’s has also been blessed by the commitment and service of dedicated clergy. Of those who have served as Rectors and Curates of this parish, five deserve special note. These dedicated priests of God’s Holy Church served St. Andrew’s for a total of seventy-nine years. The Rt. Rev’d. Wilson Hunter was rector from 1930 to 1938, and was later elected Bishop of Wyoming serving in that capacity until 1969. Rev’d. Allen Person served as rector from 1938 until 1968 and had the pleasure of offering God’s love to several generations of people at St. Andrew’s. A journalist and author, the Rev’d. Canon David Heil came to St. Andrew’s as Curate for the Rev’d. Person, and served as rector from 1968 to 1983. Most recently, the Very Rev’d. Dr. Ron Summers ministered to the people of St. Andrews from 1984 until his retirement in 2009 and currently holds the title of Rector Emeritus and is a trusted counsel to the present incumbent. Words cannot express the faith and dedication of these men of God.